Samantha Ruth Prabhu says her that baby will be her "universe"
Samantha Ruth Prabhu may not have decided her retirement date but the Rangasthalam actress has "fixed the date" for her baby's arrival. 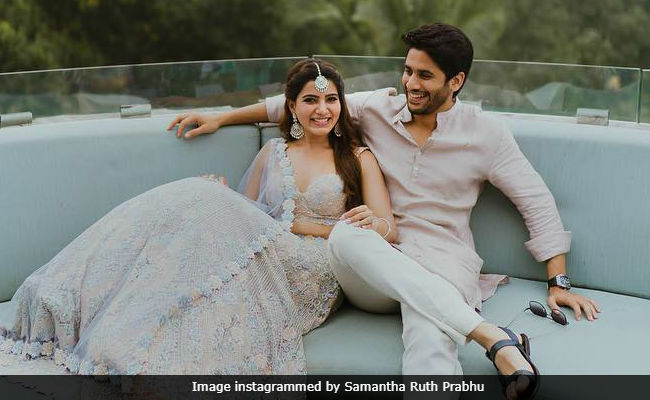 Samantha married Naga Chaitanya, her longtime boyfriend and co-star of several films, in October 2017 and recently, the 30-year-old actress told Film Companion that she has "put a date as to when I want my baby." Samantha was asked if she has set a date for retirement, to which she replied in negative and added: "But I have put a date as to when I want my baby... The date has been fixed. Like, as if that's going to happen according to the date we have fixed. But Chay seems to be certain that it will happen on the assigned date... But we have definitely fixed the timeline as to when we want to have a baby"
Samantha also said that her baby (whenever it arrives) will be her "universe" and at least "for the first few years of having a child I won't be anywhere else." Samantha also added: "I have the greatest respect for working mothers." Samantha Ruth Prabhu and Naga Chaitanya had a dreamy wedding in October in Goa. After her wedding Samantha featured in three back-to-back hits - Raju Gari Gadhi 2, co-starring her father-in-law Nagarjuna Akkineni, Mersal with Vijay and the latest Rangasthalam opposite Ram Charan. Samantha told Film Companion that she would stop making films the day she doesn't get offers of her choice but till then there's no retirement. Samantha has an interesting line-up of films for 2018 - Mahanati with Dulquer Salmaan, Seema Raja with Sivakarthikeyan and Super Deluxe with Vijay Sethupathi. She has also signed a Telugu film with Naga Chaitanya, which will be their first film together after marriage. Their first film as co-stars was Ye Maaya Chesave, after which they worked together in Vinnaithaandi Varuvaayaa, Thrayam, Autonagar Surya and Manam.